In a ploy to sell more Krabby Patties than ever before, Mr Krabs transforms the Krusty Krab into a winter wonderland spectacular enough to rival even the famous North Pole. 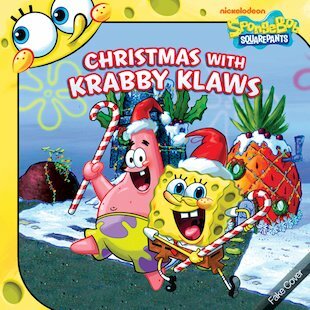 He presides over this holiday oasis as Krabby Klaws, with SpongeBob as head elf, offering up holiday activities for kids – all for a minor fee, of course! But Mr Krabs gets too cocky on the fateful day when he announces that Krabby Klaws is more popular than Santa himself! SpongeBob is outraged, and begs Mr Krabs to take it back. After all, if Santa is mad at Mr Krabs, they can forget about writing down their Christmas wishes. Then, by strange coincidence, bad things start happening at the Krusty Krab. SpongeBob is sure that Santa is sending Mr Krabs a sign. But will he change his selfish ways in time?